Do you wish to learn more about We Collect Rubbish? We are one of the few in London that provides fully guaranteed top quality junk removal services. Our company has been in this sector for over 10 years now, during which time we have served numerous clients within London. Our company specialises in all kind of clearance work, including similar services for commercial buildings and companies. Our company is fully licensed and insured, meaning that clients needn’t worry about a thing with us. We operate with individual clients and companies alike. The work we carry out can be a big amount of waste or just a minor junk collection that we will gladly carry out. Each of our services is carried out by professionals. We pride ourselves on highly motivated and engaged staff. We see to it that all our company members are well-trained, professional and punctual. 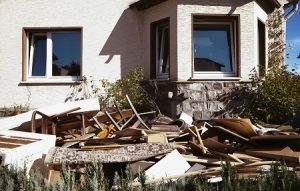 As a result, any junk clearance job is carried out on time and to the highest standard in the industry. Additionally, our staff is fully vetted – we screen the background of all our employees. We know that some customers are worried when it comes to letting other people in their property, but we guarantee that there will never be a problem with us. You need to contact us: either on 020 3909 7640 or through the contact form on our website. We will take all the details of the job: address, quantity and type of junk you want us to clear. We will work out a convenient date and time to carry out the service with you. We will send a professional team on the day of the service to complete the job. It is our ultimate goal to become the best rubbish removal company in the entire London metropolitan area. We want all residential and business owners to know that we are available for hire at all times. Our team at We Collect Rubbish is always improving different aspects of the service provided. We are dedicated to providing quick and convenient solutions on affordable and competitive prices, just like we have done for a number of years already. We put great emphasis on environmentally-friendly waste disposal. For this reason we work to recycle as much of the collected junk as possible, immediately after collection. We believe environment protection is a responsibility for every big company and we try to do our part in this. That is why if you are green-oriented too, you should give us a call on 020 3909 7640 whenever you need junk clearance services of any kind.! You can find out more about We Collect Rubbish by calling us on 020 3909 7640!